Surface Technology is a licensed industrial flooring contractor, able to complete projects anywhere in the United States. We work with facility owners, design build firms, construction management firms, and general contractors to provide industrial flooring solutions for projects ranging in size from 3,000 to more than 500,000 square feet. We are fully qualified to handle industrial floor coatings in Divisions 7 and 9 of the CSI MasterFormat® list. Surface Technology is bonded up to $2 million. Surface Technology has been recognized by national publications, trade associations and construction professionals as a performance and quality leader among flooring contractors. Our expertise delivering high-performance floor systems for industrial projects across the country is unsurpassed. Innovation and execution is the key to delivering value to our clients. Founder and President, Michael E. Greenblatt is an independent, nationally-recognized industrial flooring and coatings expert with more than 35 years of industry experience. 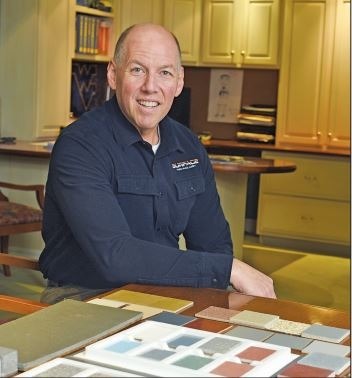 As a former executive for leading polymer flooring manufacturers, Michael has been a pioneer of highly effective new applications and installation techniques in building custom industrial flooring, coating, and lining solutions. The Surface Technology, Inc. project engineering team, under Michael’s leadership, collaborates closely with clients to design the most ideal solution for each custom set of application requirements. Michael has held a longstanding passion for serving as a highly reputable expert in the industrial flooring and coatings business. He was instrumental in developing the first Steel Structures Painting Council (SSPC) specifications for coating concrete and is actively involved in the International Concrete Repair Institute (ICRI) and the National Association of Corrosion Engineers (NACE). 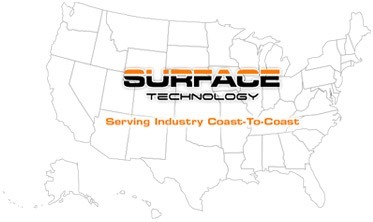 Since 1988, Surface Technology, Inc. has led by example in our highly specialized industry with a strong track record of success designing and installing custom industrial flooring, coating, and lining solutions. For more than 30 years, we have provided many of the nation’s most-respected corporations with reliable flooring and coating solutions that require impact, abrasion, and chemical resistance. Equally important, our flooring installations meet the most rigorous standards of craftsmanship, design, and aesthetic innovation.